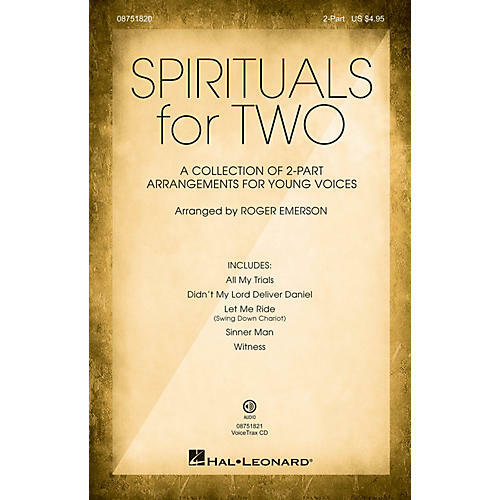 Five of Roger Emerson's contemporary spiritual settings are crafted for 2-Part voices in a value-packed collection that is perfect for younger choirs in elementary through middle school! Songs include: All My Trials, Didn't My Lord Deliver Daniel, Let Me Ride (Swing Down Chariot), Sinner Man, Witness. Available separately: 2-Part Collection, VoiceTrax CD.